When Samantha contacted me and told me that her family purchased an old white farm house and that they wanted me to come out in the Fall when the leaves had changed to document them at home, I was literally beaming with excitement. Following their journey through life from engagement to babe number two and homeownership has been something I cherish so much. When I look through these images, I feel them. Sam and I have this same dream of a simple life, on a beautiful property, pups and family. My heart couldn’t be more drawn to this shoot and all that it encompassed. I am just so happy they had me out to spend the evening with their beautiful family and share their dream home with me. It was a night I will not soon forget. SURPRISE! Ashley West Photography is growing by a sweet little baby bum coming this Fall. And we found out this weekend that ITS A BOY! We are so so so excited for this little miracle. We’ve spent the last few weeks telling friends and family about our news, and its so fun to finally let the secret out! Some of you may have followed our journey to baby and some of you may have not! I started a personal blog to document our life, home, and experience in trying to grow our family. If you’d like to see more updates you can follow @ourhumblehideaway on instagram and my blog here: Our Humble Hideaway I am excited to post an update soon all about the first trimester and the amazing details of our pregnancy so far! But I wanted to share this exciting news with all of my amazing clients!! Yahoo!! These photos are from our Gender Reveal this past weekend! Everyone in our lives convinced us it was a girl so we had so much fun with the shock of finding out we are having a little boy. Let the nursery planning begin!! Can’t wait for our little country boy to make his appearance. This post of availability is mainly for my portrait clients! I have about 12 open spots for sessions from June until September. This would be mainly family and maternity/newborn sessions! I’ve saved a couple additional spots for 2018 brides and their engagement sessions! So, if you were thinking of booking an upcoming shoot with your family, please get in touch now while there are spots still available! I typically hold Fall Mini Sessions – and I’d like to try to do that again this year, however they will just have to be a little earlier! I am hoping I can hold early Fall Mini Sessions the weekend of September 23rd. (If there is a lot of interest I may open up a week night as well!) Stay tuned on Instagram and Facebook for updates about mini sessions! I will be on maternity leave starting the 2nd week in October through at least the 2nd week in December. 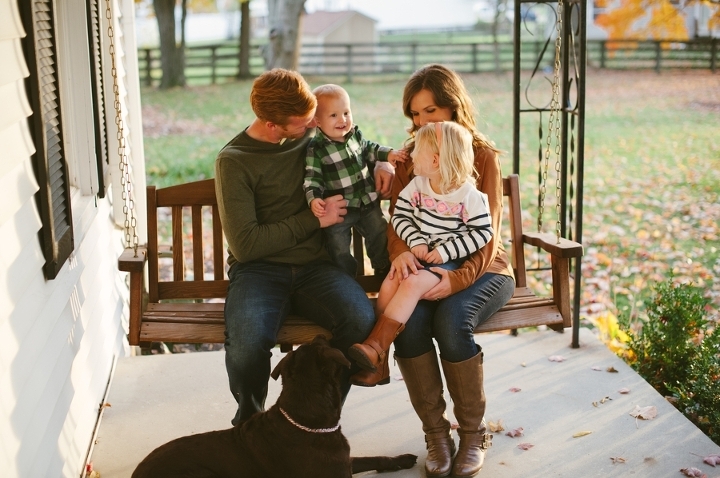 In a perfect world I would still LOVE to do Christmas Mini Sessions. If this is possible, they would be the weekend of December 9th or December 16th. I will be sure to post updates shortly after baby arrives so you can plan your Christmas card photos accordingly! Thank you all so much for your support and understanding! We are so excited! Hope to see you all this Summer/Fall. Sometimes you photograph a wedding on seemingly one of the most beautiful days of the year, with the sweetest and most laid back couple, and everything all day just feels right in the world. I love my job. I love my couples. Enjoy this beautiful October wedding! Brooke and Sam — Their wedding was just a literal dream. Easy to come up with amazing things to say about them and their gorgeous day. The weather was as perfect as you could hope for in October. I just love the soft tones of their attire/decor — it went so perfect with the cloud covered sky. I’m a sucker for neutrals and greens, so Brooke had me right away. I knew after their engagement session with their puppies & at a tree farm that these two were just my style! I had so much fun getting to know them both through the planning process. Such an honor to witness and document their day! This one might go down as a favorite for me. And her Sarah Seven dress!? GAH! I may love it too because it resembles my wedding slightly, just a girl after my own heart! Congrats to you both! Thank you again for choosing me to document your day! So excited to finally share this one. Enjoy!